Theologians are being ordained in Budolfi Church in Aalborg. Photo: Christian Roar Pedersen. Over the last few years, there has been a lot of concern about an increasing lack of qualified candidates for the vacant clerical positions. To answer to this problem, the Ministry of Ecclesiastical Affairs decided in 2016 to set up a committee concerning clerical shortage. The committee has published a document with considerations and recommendations for decisions on how to increase the supply of candidates for the clerical positions by regulating access to the pastoral offices. The Committee has looked at recruitment of new pastors as well as staff retention. The proposal that has caught most attention is that academics in general should be able to apply for pastoral office provided they complete a theological postgraduate course. The postgraduate course will have an expected duration of two to three years and must be tailored to each individual applicant. There has been a positive response to the committee’s work, but some critical voices do speak out. 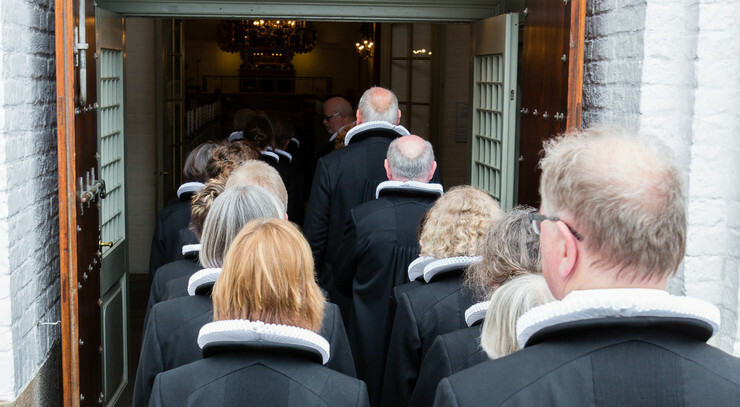 In the Christian magazine Udfordringen, The Lutheran School of Theology in Aarhus points to the limit of admission at the theological faculties. The students of the university faculties will have priority of admission thus making it harder for the candidates from the Lutheran School to complete their final courses and become qualified for pastoral offices. Some of the fully-trained theologians give up the idea of working as a pastor and find work outside the church. Dean Kirsten Busch Nielsen, in an interview with the Copenhagen University Paper. “If it is not possible to produce a sufficient amount of theological candidates, we think the best solution is to open up, Andreasen says to DR, adding that there are also other proposals on the table such as making it more attractive to apply for pastoral office.